Are you interested in studying abroad? There are many opportunities for Environmental Science and Management and Environmental Policy Analysis and Planning students to study abroad. The best place to start looking for information about studying abroad is the Study Abroad website. Students in the ESM and EPAP majors have gone all over the world including countries such as Australia, New Zealand, Argentina, the Netherlands, Sweden, and South Africa, to name just a few! One of the more popular ecology-based programs is Marine Biology & Terrestrial Ecology at the University of Queensland, Australia. The Department of Environmental Science and Policy offers two summer abroad programs with members of our faculty, Sustainable Cities of Northern Europe and Ecological and Social Issues at Lake Atitlan, Guatemala. If you are planning to study abroad your major and/or minor department will need to evaluate the courses you will potentially take to see if they can be used for your major and/or minor. For both the ESM and EPAP majors we ask that students provide us with a list of the courses that you will potentially take along with their course descriptions and your best guess at how they could fit into your major program. It is ok to be wrong about where it might fit into the major, so don't worry about that. Once that information has been compiled you will send it to your major adviser so that they can look it over and let you know which courses are most appropriate and how they can be used for the major. My semester abroad conducting research and taking international classes was the highlight of my college experience. 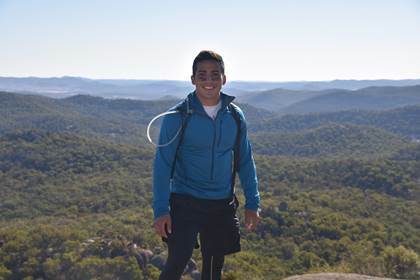 Not only was I pursuing my passion of field research on the Great Barrier Reef and studying the similarities between the Australian Bush and California’s chaparral environment, I was also collaborating with motivated UC students and world-renowned professors. I really appreciated studying abroad with a cohort of students from all the UCs and I can say I made life long friends all over the world. Regardless of the academics, the intangible benefits of traveling abroad and experiencing new cultures are priceless. While UC Davis is a highly regarded institution, taking classes with different teachers and students adds to one's holistic learning experience. I would highly recommend the UCEAP Marine Biology and Terrestrial Ecology program and traveling the world as you do it. It is hard to sum up my experience at the University of Copenhagen, in the Faculty of Science in Denmark for the fall semester of 2017, but I would start by saying how incredible it was. I enjoyed learning about the Danes progressive policies and the everyday practices for the Environment. For example, upon landing in Copenhagen, I noticed the expansive offshore wind farms powering the city. While living in Copenhagen, you can expect to “live green” with the dorm-based recycling programs for compostable food waste that is converted to biofuels! The UCEAP team was incredibly helpful in this process and I enjoyed getting to know other UC students during the Danish Language pre-semester program. I was appreciative of how welcoming my professors were at the university. My political ecology class was something unique and not offered at Davis, however the advisors and coordinators helped me count it as a policy requirement for my track, Natural Resource Management. The thing I loved most about this experience is you had a lot of independence. I balanced academic work with learning and exploring the many cultures of Northern Europe. Living was easy in a very welcoming society with a rich Scandinavian history. I’ll never forget the truly unique experience I had studying in Denmark and making so many new International friends. I was extremely fortunate to be able to study abroad in New Zealand at the University of Auckland for one semester. While there, I was able to complete two major required courses for my EPAP degree while also learning about the country and culture through New Zealand politics and Sociology courses. Because they are on a semester system there, I had plenty of time to travel and explore New Zealand on the weekends and mid semester break. The country is beautiful, and has much to offer other than Hobbiton! It was great to make friends with New Zealanders and other international students from around the world. I had an absolutely fantastic time when I was there, and I encourage anyone who is thinking about studying abroad to do so. If you don't, you will regret it later on! Studying abroad in the Marine Biology and Terrestrial Ecology Program at the University of Queensland was hands down the best educational experience of my undergraduate career. As a non-science major, I did not feel overwhelmed or behind in a curriculum emphasizing field science techniques, scientific paper writing skills, and biology. Although the classwork can be tough at times, it was always fascinating, practical, and hands on. The professors in the program are some of the most articulate and inspiring academic role models I’ve ever had the privilege of learning from. 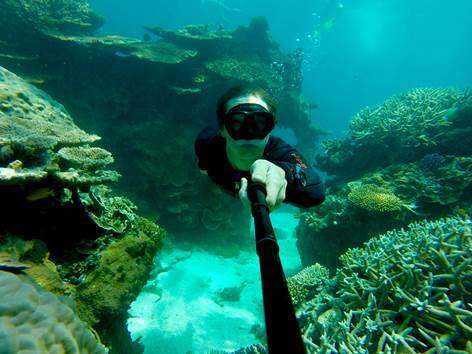 This program provides a unique opportunity to meet valuable connections in the scientific community, build great experience conducting scientific research in the field, explore much of classic Australian terrains on class camping and research trips, and study the Great Barrier Reef in a critical period of its existence. I made lasting friendships and had the opportunity to travel more of Australia and New Zealand afterwards, which is totally doable to incorporate without taking additional time off of Davis. As a senior looking to graduate the same year as I wanted to go a semester abroad, the path to completing all my major requirements could have been really difficult. But the combined effort of the Study Abroad Office and ESP Department made my dream of spending a semester in another country a reality. Studying abroad in New Zealand was the single best part of my college experience. I met people from all around the world and made great friends with locals and international students. During my time there, family and friends kept asking how everything was going and how I was feeling. I repeatedly found myself saying that I felt empowered. Doing a study abroad program is great if you need to take that next step in your life toward becoming a self-sustaining adult. Although you are responsible for most decisions and planning, you have great resources at your fingertips. I highly encourage anyone and everyone to add a term abroad to their college bucket list. Initially I was a bit nervous because I had never travelled alone. But when the semester ended, I still had a month left in New Zealand before my flight back home and was eager to see every bit of it with or without a travel buddy. If studying abroad interests you in the least bit, go for it! 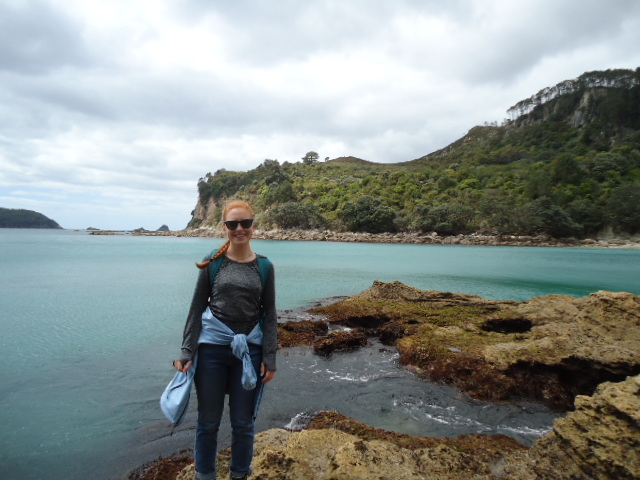 I could not be happier with my time in New Zealand and regret not doing it earlier so that I could have done another semester abroad before graduating. Sustainable Cities of Northern Europe was an amazing experience. During this program, we were able to go on bike tours around various cities, visit solar towns and ecovillages, tour an incineration energy plant, and basically learn about how different ways European cities have moved toward greener practices through urban development. Jeff Loux is an amazing professor and has some great stories about each of the cities and Davis (he used to be the Planning Director for Davis). Before going on the program, I was a bit nervous because it would be the first time going out of the country by myself but I met a bunch people while I was abroad and traveling was incredibly easy. This is a very fast paced program because you visit five cities in four weeks but we did have a lot of downtime where we were able to explore and hang out. Some friends and I were even able to visit a small city in France for a day as a side trip. Also, many people traveled before or after the program. I personally traveled after and went to Italy and France. If you're worried about money, there are a ton of grants and scholarships that you can apply to that will help with the cost. To me, this was the ultimate European trip because I was able to see a lot of countries and be immersed in wonderful cultures, all while learning about environmental issues. 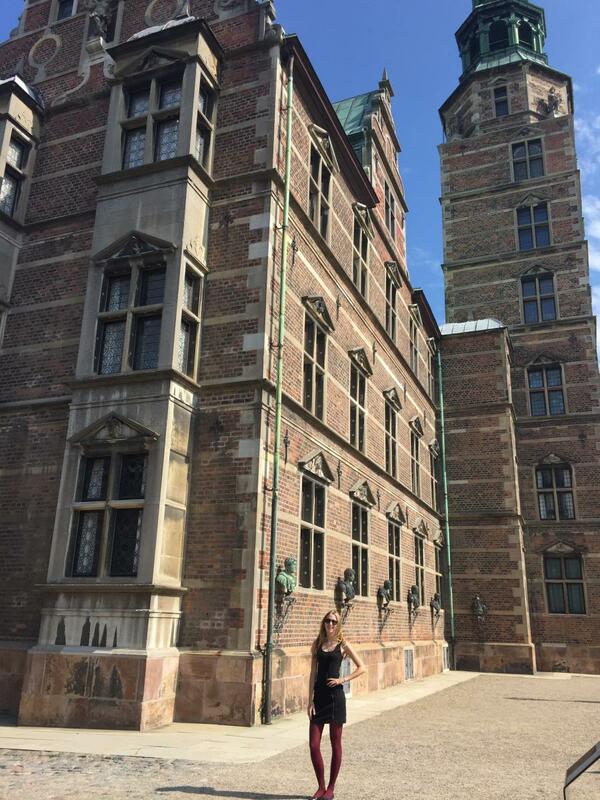 Studying abroad in Lund, Sweden, through the UCEAP program was definitely one-of-a-kind. Because it was a program offered through the UC system, I was able to meet and see the perspectives of several students from other UC schools, before even meeting international students! The program’s flexibility with courses meant that we could take major-specific classes and any other electives that we wanted. I was able to take a Master’s level Marine Ecology course, that gave students the opportunity to go on a week-long excursion to both coasts of Sweden, conducting fieldwork in the coastal tidepools and eventually completing a research project on a given tidepool topic. It was so “hands-on” and such a unique college class experience! Through that class, I was able to meet a wide mix of international students, from places such as Australia, Spain, England, and even China. It was such a rewarding experience for us all to come together in Sweden and learn about each others’ cultures and ways of life. Outside of classes, many students in the UCEAP program took separate trips to various Northern Europe countries outside of Sweden- personally, I visited Denmark, Germany, Norway, and even Iceland! The flexibility and freedom offered by this study abroad experience truly made my junior year memorable. I studied abroad for the Fall Term of 2013 in the Netherlands through the UCEAP. I went to a small international college in the town of Utrecht, where biking is just as beloved as it is here at Davis. This experience was invaluable to me. I was able to explore a beautiful city while studying in a small classroom setting, allowing me to get to know people from all over world. I was able to take a range of classes from some of my Arts and Humanities GE courses to an Environmental Science course comparable to geology, and my credits transferred with no problem at all. I would highly recommend study abroad to anyone! Being able to travel to new places, learn in a new environment, and meet a range of different people has been such an important learning experience for myself. I feel so grateful for the chance to study in the Netherlands and to travel throughout Europe. Both the department at Davis and the international campus were incredibly helpful in the process of enrolling in classes. Overall, the experience was indescribable (I will be back to visit again this summer! ), it is absolutely worth pursuing for any student interested!